EPA 30 MPG Hwy/21 MPG City! SIRIUS SATELLITE RADIO , UCONNECT VOICE COMMAND W/BLUETOOTH , CD Player, RALLYE APPEARANCE GROUP , TRANSMISSION: 4-SPEED AUTOMATIC VLP, ENGINE: 2.4L I4 DOHC 16V DUAL VVT. UCONNECT VOICE COMMAND W/BLUETOOTH Rear View Auto Dim Mirror w/Microphone, Bluetooth Streaming Audio, Remote USB Port, RALLYE APPEARANCE GROUP Trunklid Spoiler, Black Headlamp Bezels, Wheels: 18" x 7.0" Aluminum, Tires: P225/50R18 BSW AS Touring, Body Color Grille, SIRIUS SATELLITE RADIO 1-Yr SIRIUS Radio Service, For More Info Call 888-539-7474, TRANSMISSION: 4-SPEED AUTOMATIC VLP (STD). "Enthusiasts will be pleasantly surprised by the fun-to-drive characteristics of the front-drive 2014 Dodge Avenger." -KBB.com. 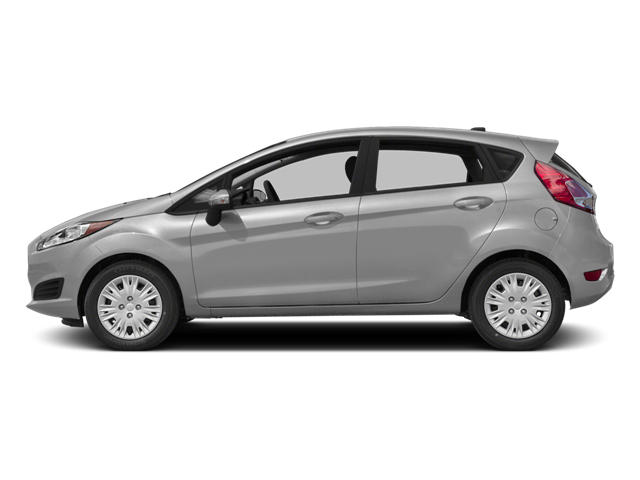 Hatchback, Moonroof, SE Trim Level, Bluetooth Connectivity. 2014 Ford Focus sedan with the SE trim level that can achieve 37 MPG on the Highway and 27 MPG in the City. You can fold down the rear seats for those times you need to get something extra large home. Great handling and maneuverability characteristics as well with this 2014 Ford Focus. The radio is equipped with AM-FM-CD player and the SYNC system with USB and Auxiliary inputs along with Bluetooth Connectivity. This Focus also has Automatic Headlights and Steering Wheel Controls. Sedan, SE Trim Level, Bluetooth Connectivity, MOONROOF! The radio is equipped with AM-FM-Sirius Satellite Radio-CD player and the SYNC system with USB and Auxiliary inputs along with Bluetooth Connectivity. Open the Moonroof on those nicer days to let the fresh air in. TRANSMISSION, 4-SPEED AUTOMATIC (STD), ECOTEC 1.2L DOHC 4-CYLINDER MFI (84 hp [62.6 kW] @ 6400 rpm, 83 lb-ft of torque [112.1 N-m] @ 4200 rpm) (STD). CarAndDriver.com's review says "The diminutive Spark is the smallest car Chevy has ever offered in the U.S.". Sedan, Titanium, Navigation, Sony Audio System, Bluetooth, Leather Seats that are Heated, Rear View Camera, Remote Start. 2014 Ford Focus that can achieve 38 MPG on the Highway and 27 MPG in the City. Very comfortable Leather Seats and the front seats are Heated. There`s also Dual Zone Automatic Climate Control. The radio is equipped with AM-FM-Sirius Satellite Radio-CD player and the SYNC system with USB, SD Card and RCA inputs along with Bluetooth Connectivity. Plus, the Rear View Camera is handy to have when backing out of those tight spaces. Hit the Remote Start Button for those times you`d like to Warm Up or Cool Down the interior before you get in. Heated Leather Seats, Sunroof, Satellite Radio, Premium Sound System, Alloy Wheels, ENGINE, 3.6L DOHC V6 VARIABLE VALVE T. TRANSMISSION, 6-SPEED AUTOMATIC, HIGH. AUDIO SYSTEM, AM/FM STEREO WITH USB P.
AUDIO SYSTEM, CD PLAYER AND MP3 PLAYBACK seek-and-scan, digital clock, auto-tone control, Radio Data System (RDS), automatic volume, TheftLock, auxiliary input jack and 36 cross-band presets (STD), TRANSMISSION, HIGH TORQUE electronically controlled with overdrive (STD), 3.6L DOHC V6 VARIABLE VALVE TIMING SFI (252 hp [187.9 kW] @ 6300 rpm, 251 lb-ft of torque [338.9 N-m] @ 3200 rpm) (STD). "Strong V6; comfortable ride; strong brakes; quiet cabin; simple controls." -Edmunds.com. Bluetooth Connectivity, SE trim level, Automatic Headlights. 2012 Ford Fusion with No Accidents and a Local Trade-In that is ready for you to drive home! Enjoy 33 MPG on the Highway and 23 MPG in the City while still having the power to merge onto the highway with ease. The Rear Seats can fold down for those times you need to get something extra large home. 36 MPG on the Highway, Cloth Seats, Keyless Entry, Aluminum Wheels. 2011 Chevrolet Cruze with the LT trim level and ready for you to drive home! Achieve 24 MPG in the City and 36 MPG on the Highway since this Cruze has the 1.4 liter Turbocharged 4 cylinder engine. No Accidents and a Local Trade-In. The radio is equipped with AM-FM-CD player and an Auxiliary input. Moonroof, Bluetooth Connectivity, Sirius Satellite Radio, ONE OWNER, NO Accidents, Local Trade-IN! 2011 Ford Escape with the XLT trim level that has been very well taken care of and ready for you to drive home! The Cargo area has a Retractable Cargo Shade...and you can fold down the 2nd row seats to give yourself 67.2 Cubic Feet of Cargo Space when you need it. This Escape has been very well taken care of and very well maintained! Sunroof, Heated Leather Seats, Alloy Wheels, Remote Engine Start, Back-Up Camera, Onboard Communications System, Premium Sound System, SEATS, HEATED DRIVER AND FRONT PASSEN. JET BLACK, PERFORATED LEATHER, SUNROOF, POWER, TILT-SLIDING WITH EXPRESS-OPEN AND WIND DEFLECTOR, LIFTGATE, POWER PROGRAMMABLE REAR WITH FIXED GLASS, AUDIO SYSTEM, AM/FM/XM STEREO WITH CD PLAYER and MP3/WMA playback capability, Graphic Interface Display (GID), Radio Data System (RDS), speed-compensated volume, auxiliary input jack and outside temperature display (STD), TRANSMISSION, 6-SPEED AUTOMATIC WITH OVERDRIVE (STD), ENGINE, 2.4L DOHC, 4-CYLINDER SIDI (SPARK IGNITION DIRECT INJECTION) with VVT (Variable Valve Timing) (182 hp [135.7 kW] @ 6700 rpm, 172 lb-ft [232.2 N-m] @ 4900 rpm) (STD). CarAndDriver.com explains "Quality cabin materials, more advanced powertrain, all Equinoxes use six-speed automatics and feature direct fuel injection, and upscale looks make this one worth considering.". 5 Star Driver Front Crash Rating. 5 Star Driver Side Crash Rating. 2010 Jeep Grand Cherokee, Laredo, 4x4, 3.7 liter V6 engine, Moonroof. You can fold down the rear seats when you need extra cargo space and your rear seat passengers will appreciate their own air vents. Slide open the Moonroof on those nicer days to enjoy the fresh air. This Grand Cherokee is Sure-Footed as well with the 4x4 System for when the roads turn slippery. The radio is equipped with AM-FM-Sirius Satellite Radio-CD Player and an Auxiliary input. Front Wheel Drive, Power Liftgate, Heated and Cooled Front Seats, Bluetooth Connectivity. 2010 Lincoln MKX that is ready for you to drive home! Too Hot or Too Cold outside? This MKX has Heated and Cooled seats and Dual Zone Automatic Climate Control. Your rear seat passengers will appreciate their very own air vents too. And have great confidence with merging into traffic since this MKX has the 3.5 liter V6 engine. Heated Leather Seats, Multi-CD Changer, Flex Fuel, SIGNATURE LIMITED SERIES ORDER CODE, Aluminum Wheels. SIGNATURE LIMITED SERIES ORDER CODE. Lincoln Signature Limited with Light French Silk Metallic exterior and Light Camel interior features a 8 Cylinder Engine with 239 HP at 4900 RPM*. MotorTrend.com's review says "In tune with the needs of midsize car buyers, the Camry provides excellent fuel economy, offers responsive handling while providing the smooth, quiet ride that sets a benchmark for the segment.". U.S. News Best Midsize Car for the Money. 5 Star Driver Front Crash Rating. 5 Star Driver Side Crash Rating. Heated Leather Seats, Bluetooth, Multi-CD Changer, 3.5L 24-VALVE V6 DURATEC ENGINE, Aluminum Wheels, iPod/MP3 Input. Leather Seats, Heated Driver Seat, iPod/MP3 Input, Bluetooth, Multi-CD Changer. 3.5L 24-VALVE V6 DURATEC ENGINE (STD). Mercury Premier with Merlot Metallic exterior and Light Camel interior features a V6 Cylinder Engine with 263 HP at 6250 RPM*. Consumer Guide Recommended Car. 5 Star Driver Front Crash Rating. 5 Star Driver Side Crash Rating. CD Player, Diesel, Turbo Charged Engine. Turbocharged, Diesel, CD Player Dodge Sprinter with Broom Yellow exterior and Gray interior features a V6 Cylinder Engine.